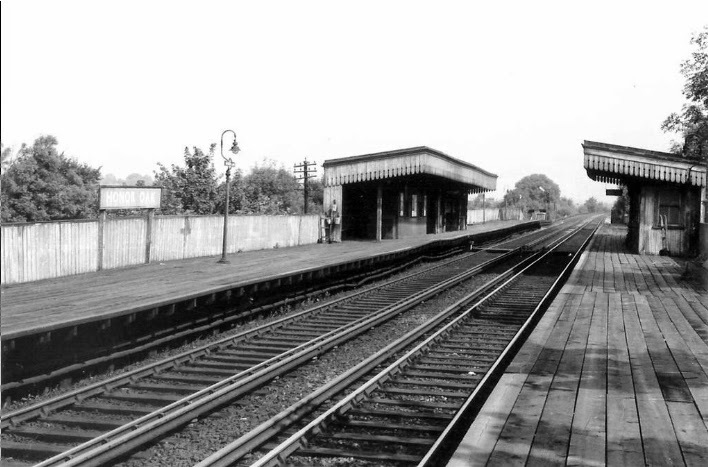 Did you know there used to be a station at the junction of Wood Vale and Lordship Lane? And another at the other end of Wood Vale, where it meets Forest Hill Road? We asked local historian, Steve Grindlay, to take us on a journey down the line. Like much else in this area, the Crystal Palace High Level Line was a direct result of the opening of the Crystal Palace on Sydenham Hill in 1854. The building was designed by Joseph Paxton as a temporary structure to house the Great Exhibition of the Works of Industry of all Nations (to give it its full title) in Hyde Park. By the time the Great Exhibition closed, on 11th October 1851, plans were already afoot to rebuild a much larger version of Paxton’s iconic building, already dubbed “the Crystal Palace”. To achieve this, the Crystal Palace Company was formed with a board of nine directors. 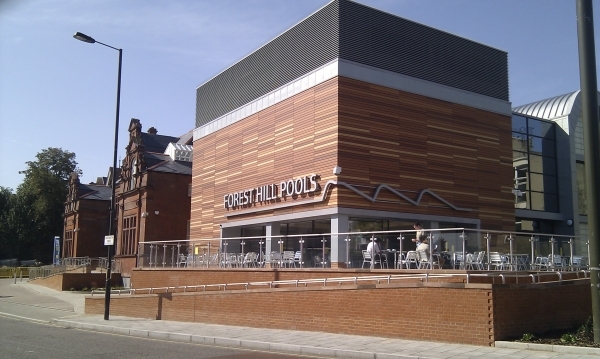 One of their first objectives was to find a suitable site for the new building. It may not be coincidence that four of the nine directors of the CP Co had lived in Sydenham or Forest Hill since the mid-1840s, long before the original building in Hyde Park had even been proposed. One of them, Samuel Laing, lived in a large house near Mayow Road from 1847. He was chairman not only of the Crystal Palace Company but also of the London, Brighton & South Coast Railway, which ran from London Bridge through Forest Hill and Sydenham to Croydon and beyond. The railway companies had done very well out of transporting visitors across the country to the Great Exhibition in Hyde Park and were keen to have a say in where the new Crystal Palace should be built. Another local resident, Leo Shuster, was deputy chairman of the London, Brighton & South Coast Railway Company (he took over as chairman when Samuel Laing retired in 1855). He was also one of the directors of the Crystal Palace Co. Furthermore he owned a very large estate called Penge Place, conveniently situated between what is now Crystal Palace Parade and Thicket Road, which he was prepared to sell to the Crystal Palace Company. By August 1852 work had begun on erecting the Crystal Palace on Sydenham Hill. The building was formally opened by Queen Victoria on 10th June 1854. On the same day, thanks to the efforts of Laing and Schuster, the London, Brighton and South Coast Railway opened a branch line from Sydenham to Crystal Palace, extended to Victoria by 1860. This allowed visitors to travel from London Bridge through Forest Hill and Sydenham to the present Crystal Palace station. 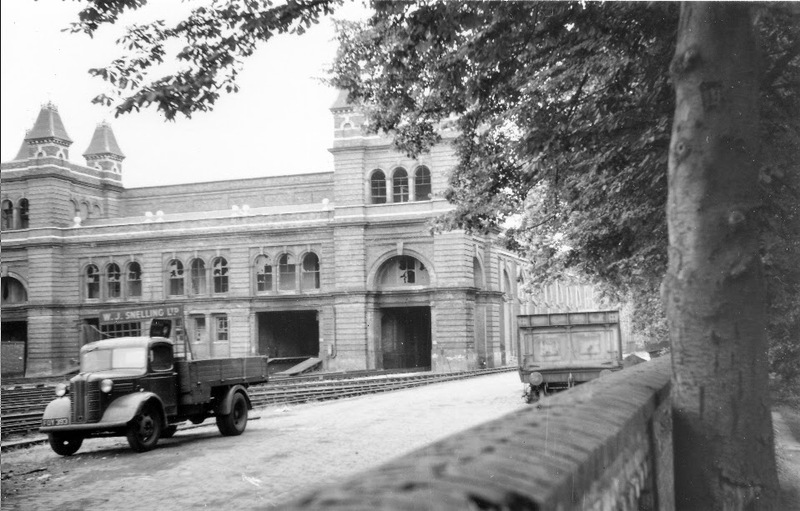 The Palace proved highly popular and, from the outset, the railway struggled to cope with some 10,000 visitors daily (on one occasion 112,000 visitors arrived by this route) coming to enjoy the music, exhibitions, festivals and other events that were on offer. In order to control this vast volume of traffic, and to make the line safer, the LB&SC railway decided to install an “electronic railway telegraph”. This consisted of an electric cable suspended from posts alongside the line with sensors that could detect the passage of trains. This information was relayed to the signal boxes, allowing signalmen to control the movement of trains. This was presumably quite a significant feature because a new public house opened in Forest Hill, at the junction of Sunderland Road and Stanstead Road, called the Railway Telegraph. By 1860 the branch line from Sydenham to Crystal Palace had been extended to Victoria but it was still having difficulty coping with the large number of visitors. Several proposals were made for a second line to the Palace. 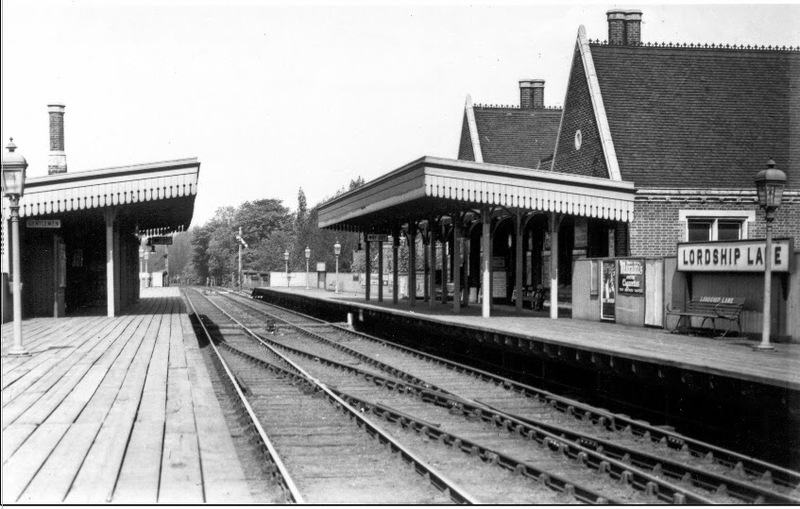 By 1862 agreement had been reached on a branch line from Nunhead to Crystal Palace, terminating at a grand station on the west side of Crystal Palace Parade. There were several challenges, not least the steep incline from Nunhead to the height of Sydenham Hill and the need for two tunnels. Eventually, on 1st August 1865, the Crystal Palace High Level Line was opened. The intermediate stations between Nunhead and Crystal Palace weren’t yet ready for the formal opening. Lordship Lane opened on 1st September 1865 and Honor Oak station opened on 1st December 1865 while Upper Sydenham station didn’t open until 1st August 1884. The High Level station was considered London’s most imposing branch line railway station, outshone only by mainline stations such as St Pancras and Euston. 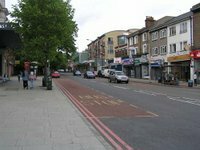 It was designed by Edward Barry and situated on the western side of Crystal Palace Parade, between the parade and Farquhar Road. The site is now occupied by Bowley Close. The entrance to the Paxton Tunnel still survives at the northern end of the site as does part of the long, arched retaining wall below Crystal Palace Parade. The finest survival of the High Level station is the arched, brick-lined subway which allowed 1st class ticket holders direct access from the station to the Palace. Others had to come out of the station and walk across the road. On leaving the High Level station on the train back to London passengers would almost immediately enter the Paxton Tunnel, emerging in what is now the Hillcrest Estate. At the far end of this estate is the site of Upper Sydenham Station and the entrance to the Crescent Wood Road tunnel. Above the tunnel, in Wells Park Road, the station building still survives and is converted to flats. The train emerged from the Crescent Wood tunnel into what is now Sydenham Hill Woods. You can follow the track through the woods, over the Cox’s Walk footbridge and continue in the same direction through the Sydenham Hill Estate towards Lordship Lane. The station at Lordship Lane was built on land owned by the Dulwich College estate and, as with other bridges and stations on their land, they insisted on high quality buildings. In this case it was an elaborate Gothic style building of red brick and stone. Nothing, apart from sections of the embankment, now survives. The track continued along what is now the Horniman Nature Trail, under a bridge at Langton Rise, and on towards Forest Hill Road. 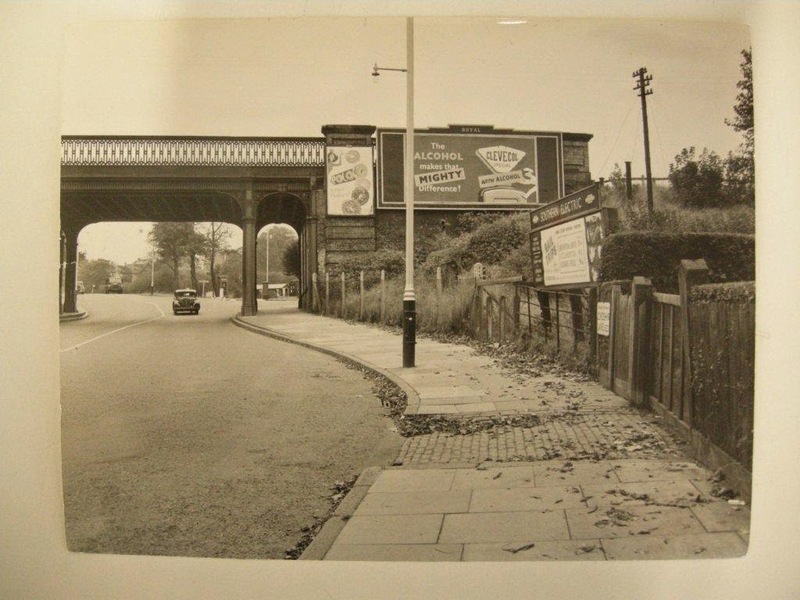 Honor Oak station was near the junction of Forest Hill Road and Wood Vale, opposite Brenchley Gardens. Again, there are signs of the embankment in Buckley Close and the Woodvale Estate. Of course, the main purpose of the High Level Line was to offer quick and easy access to all the events and exhibitions that the Crystal Palace had to offer. The fate of the line was finally sealed on 30th November 1936 when the Crystal Palace was destroyed by fire. Although the line struggled on, closing briefly during World War 2, the inevitable happened and it was finally closed on 20th September 1954. 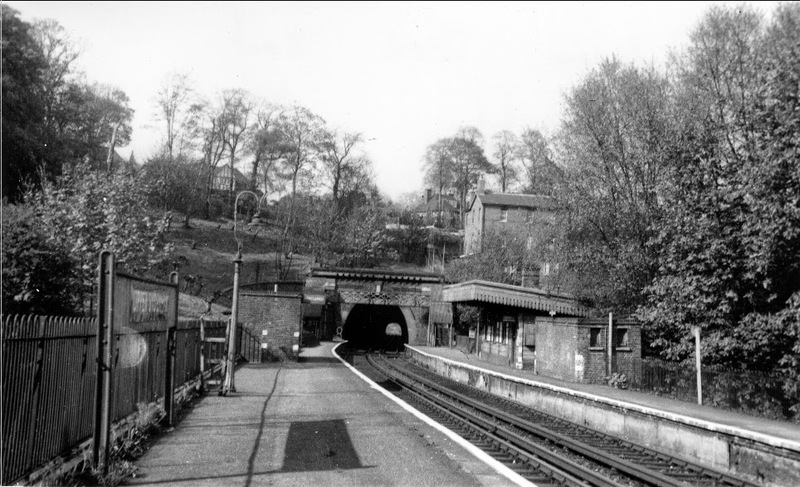 Much of the line is now woodland and nature trails, with bats roosting in the tunnel underneath Sydenham Hill, while other sections of the line became housing.